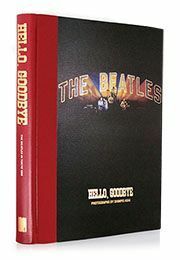 The Collector copies of Hello, Goodbye: The Beatles in Tokyo, 1966 are now available for subscription. Collector copies are numbered 351 to 1, 966, to commemorate the year of The Beatles’ visit to Tokyo. Each copy is signed by the author and photographer, Shimpei Asai, and comes with a facsimile ticket bookmark. These rare and intimate photographs of The Beatles offer a poignant glimpse into their final tour.